Although the Affordable Care Act (ACA), in its final, amended version, has been the law of the land for slightly more than five years, the industry-shaking consequence of “healthcare reform,” continue to emerge almost daily. There have probably been more significant changes in the nation’s healthcare delivery system—for providers, hospitals, employers and health insurance—between 2010 and today, than in the preceding decade or two. And about the only certainty going forward is that little is settled, and change will continue to be the order of the day. That said, highly significant trends have emerged, and they are changing how we do things in medicine and marketing. Further changes notwithstanding, hospital and health care administrators and communications professionals need to monitor these shifts closely. 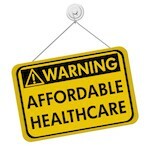 High deductibles are reducing patient compliance. In the rollout of ACA (also known as Obamacare), the individual consumer (previously referred to as the patient), is expected to shoulder more of the costs for medical services. And many consumers opt for high-deductible coverage as a tradeoff for lower premiums. What’s more, this trend among consumers with high deductible plans emerged ahead of the ACA. According to a RAND Corporation study, “while such plans significantly cut health spending, they also prompt patients to cut back on preventive health care. One such previous study by Thomson Reuters, reported in ManagedCare, found that “an increasing number of patients are postponing medical care because of cost, and that includes people with high deductibles. Among those that postponed or canceled care, 24.1 percent cited cost as the primary reason. “One in five US households postponed or canceled medical care during the prior year, up from 15.9 percent in 2006, when the survey last addressed this problem. The majority of postponed services (54.7 percent) were for physician visits, followed by imaging (8 percent), non-elective procedures (6.3 percent), and lab or diagnostic tests (5.7 percent). Market forces, including the ACA and the less-than-robust economy, are applying downward pressure on middle class and high deductible coverage patients. And informed patients who do seek care are increasingly questioning costs and seeking the greatest value in their healthcare spending. There’s no simple solution, and change will continue. In the face of these trends, however, marketing, advertising and other outreach efforts are still reliable tools to engage prospective patients, open communications channels, and reinforce the preventive care and compliance. In addition, physicians increasingly need to shape expectations and to communicate patient benefits, affordability and good value in healthy decisions for themselves and their family members. The post How High-Deductible Insurance Fuels Momentous Healthcare Shifts appeared first on Healthcare Success.